Cleaning out my closet had been on my to-do list for the past few months. You know those mornings when you open your closet only to feel like you have absolutely nothing to wear? That is usually a sign that it is time to make a purge. I have slowly filled up bags to donate over the past couple months and it is amazing how much lighter my closet feels! My problem when it comes to shopping is that I tend to buy the same thing over and over, never really filling the actual voids in my wardrobe. Cleaning out my closet allows me to connect the dots a little bit and see where my closet is lacking. When it comes to deciding what to donate, I always start with the pieces I’ve made excuses for in previous seasons. If they still haven’t received the wear they deserve then it is time for them to go to a new home. If an item has been worn TOO much, I usually donate these too. Share the wealth a little bit, you know? Once I’ve narrowed these down I then go through and think to myself “would I wear this piece out of the house right now?” If the answer is no, I’ll donate it. If the piece truly doesn’t bring me joy or doesn’t make me feel confident when I wear it – time to go! I know that it is sometimes hard to separate from pieces that you’ve paid a pretty penny for – then in that case you should start a Poshmark account or something similar. How do you organize your closet? I like to organize by style so I can see what I have in each category. By doing so it creates a clearer understanding of where you’re missing key pieces. My formula for getting dressed is like going down the line in my closet. For fall, I start with jeans, then blouses/tops, then sweaters and jackets. My dresses are tucked away because they don’t get as much wear these days. I keep my scarves/winter accessories in these bins at the bottom of my closet and then my shoes are lined up on these racks and boots are stored away. I’m sure you’ve noticed on my IG stories but we have a very small closet so we have to work with what we’ve got! I’ve found the finding useful storage alternatives has helped a lot! Tissue Turtleneck. every season I wear these to death! 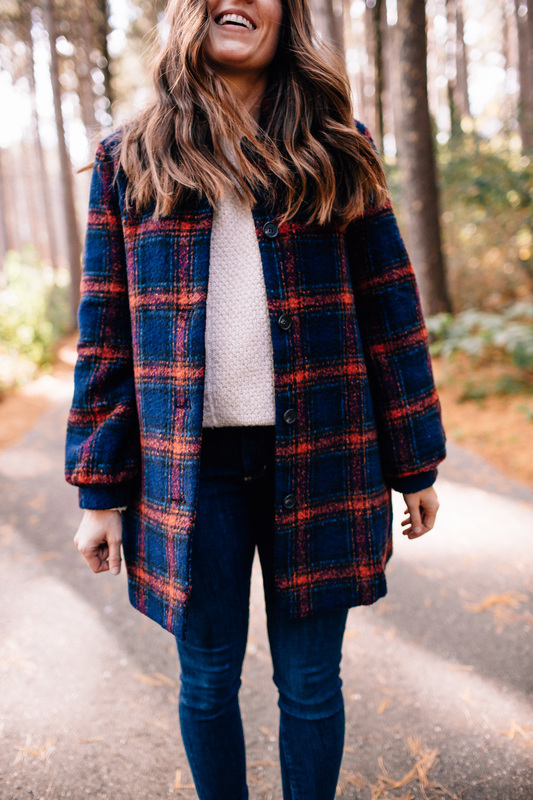 The perfect layer under cozy cardigans and sweaters on those extra chilly days. I also love them tucked into skirts with boots. I usually buy in a few colors! Madewell Tee. My biggest pet peeve is when I wash my t-shirts and the neck shrinks. I’ve found that these tees hold their shape really well! Jeans. I recently donated a bunch of jeans that either no longer fit or just weren’t my style anymore. 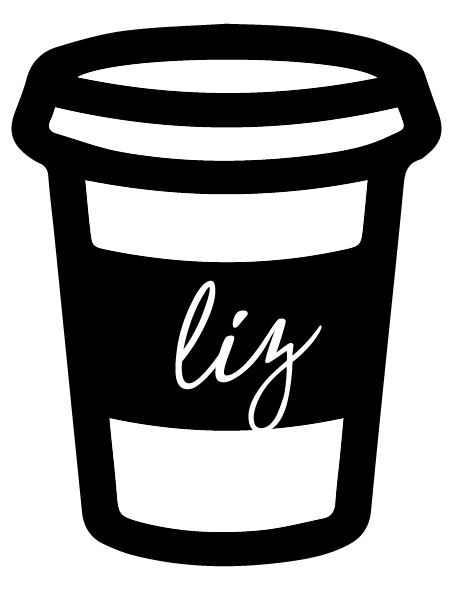 In last week’s Coffee with Liz post (one of my favorites!) 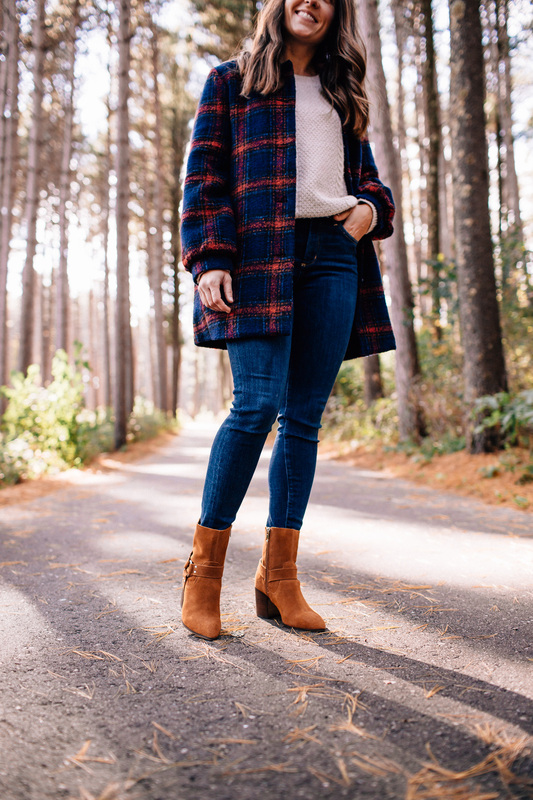 I rounded up 5 of my favorite styles and I just ordered my favorite Everlane skinnies in a new color (they are under $70!). Flannel shirt. I don’t know about you but my plaid shirts look beat after the long fall/winter months. Clearly they get their wear! I’ve already ordered a couple colors in this style (I ordered the white plaid and black check). A warm coat. This year I really need to update my winter coat situation. Not just a cute coat, I need a WARM coat. I’m leaning towards Canada Goose but I’d love your recommendations! I may or may not have bought one or more of these, too! You are right and I plan to clean out my wardrobe as soon as possible! 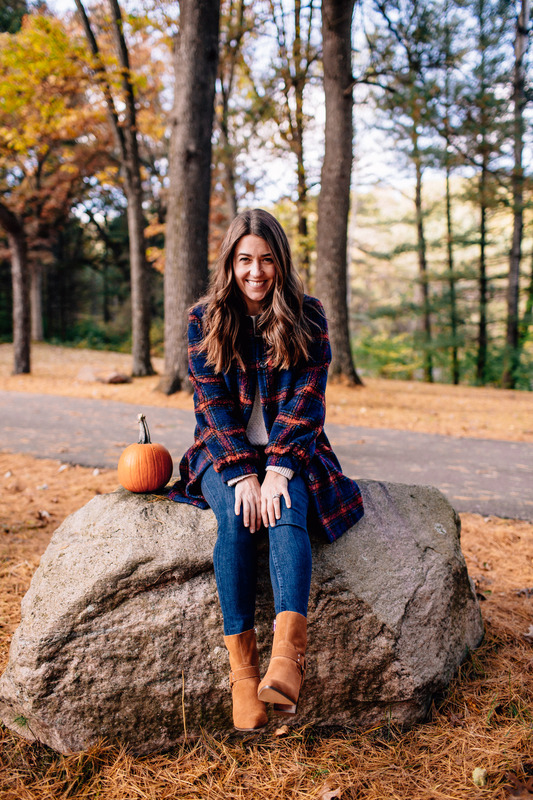 Love your fall look, the jacket is wonderful! Such a great post Liz! I love your outfit here – those boots and that coat are just beautiful!! You have reminded me that I need to start purging stuff in my closet! Definitely need to dedicate a day to it. Also, that plaid coat looks really cozy! No better feeling than cleaning out my closet and plaid button downs are definitely on my list. Since I absolutely hate the cold (yet I like in Michigan) I’m considering a Canada Goose. I might buy one next time I’m in Toronto because it might be cheaper for me with the exchange rate! This is a great post!! I have been needing to clean my closet and dresser so badly ! It’s hard to find time to devote to it with two little ones and I will probably need a day I hold on to way too much !! Have you ever/do you ever sell anything on Poshmark? I would loooove to shop your closet!!! No I personally don’t use Poshmark but I’ve heard amazing things!! Love this jacket and those boots!! Agree about finding the voids. I too am guilty of only buying statement items but recently have started buying more knits, pants, sweaters, and shoes because that is what get the most wear out of! Have you ever/do you ever sell anything on Poshmark? I would loooove to shop your closet! No I haven’t but I should!! Will definitely be keeping in mind your tips for cleaning out my closet! Love the photos, you look great! I need to clean out my closet and you are so right. It is a must to get rid of clothes you make excuses to keep and still don’t end up wearing them. Unfortunately I have a closet full. Liz, thank you for the tips! I am always purging but always have “just in case” items that linger – listening to a minimalism podcast (The Minimalists, very recommended) i learned those have to be let go! Please don’t get a Canada Goose- no need to buy real fur these days. It’s just such a disgusting and horrifying industry so please consider that, and go faux! Amazing photos! You look great! You totally need to sell your awesome closet online! Poshmark, Mercari or Kelsey’s Resale(local). I have a dress form for can borrow to photograph. 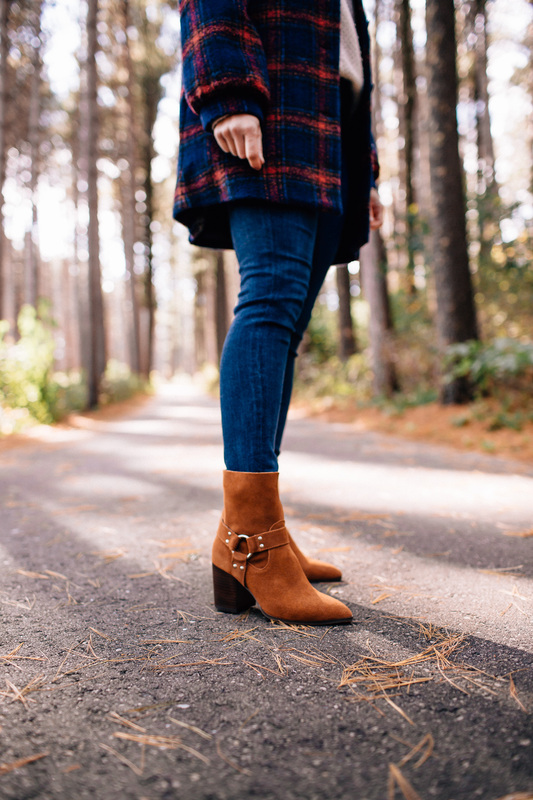 I live near you and would come help you get started online 🙂 You could do a whole blog post about online resale sites. Love this outfit! So cosy looking.